Jon Anderson was born on 25th October 1944 in Lancashire. He met Chris Squire in a club in Soho, London, in June 1968. Prior to this Squire had been in The Syn, who'd recorded two good singles for Deram, whilst Anderson had been with a beat group called The Warriors, who'd cut one 45 for Decca and two solo 45s for Parlophone under the name Hans Christian Anderson. On the demise of The Syn their guitarist Peter Banks formed another group, Mabel Greer's Toy Shop in 1968, which also included Anderson, Squire, guitarist Clive Bailey and drummer Tub Thumper. It was a loose knit affair which played a combination of soul covers and West Coast-influenced acid rock. After a few months Bailey and Thumper drifted off and the remaining trio formed Yes with the addition of organist Tony Kaye from a flower-power outfit called Bitter Sweet, which did not record, and London-born drummer Bill Bruford. 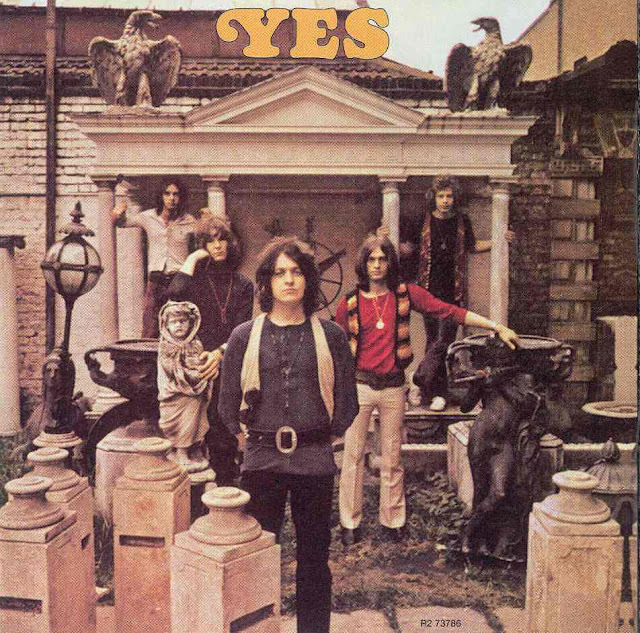 Soon after they'd began gigging Yes secured a residency at London's Marquee Club and a recording deal with Atlantic Records. Their first 45, Sweetness, was released in June 1969. A beautiful song, which exploited Anderson's crisp appealing vocals, it lacked a strong commercial hook to be a successful 45 and only sold around 500 copies. The 'B' side, Something's Coming, was an adapted version of a song from 'West Side Story', which was never included on any of the band's albums, making this one of their most sought-after 45s. There is some doubt as to whether the follow-up, Looking Around, a more upbeat keyboard dominated number, was ever released other than in demo form. It never sold at all and is consequently the band's rarest 45 and the most sought-after by collectors.